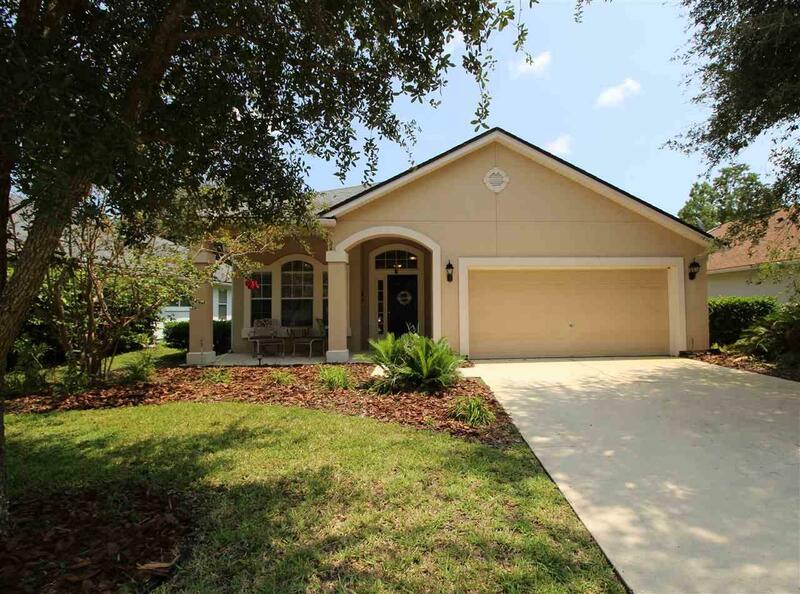 Live in the desirable, golf course community of Royal St. Augustine. QUALIFIES FOR USDA NO DOWN PAYMENT 100% FINANCING WITH REDUCED INCOME REQUIREMENTS. This 4 bedroom, 2 bath home is just waiting for its new owners. As you enter the front door you will admire the tiled foyer that leads into the formal dining room on the left. The main area has an open floor plan with a spacious kitchen flowing into the family room with the lanai just outside. The kitchen features white cabinetry with plenty of counter space and a breakfast bar open to the family room with brand new carpet.Imagine spending a cozy evening in front of your gas fireplace watching your favorite movie or lounging out on your lanai watching the golfers go by. Spacious Master bedroom and en-suite bathroom with walk-in closet, dual sinks, a tiled shower and soaking tub. Newer A/C and irrigation system.This golf course community has a nice clubhouse with onsite restaurant and bar. Close to downtown, shopping, the beaches and with easy access to I-95, this is an ideal location!